Numerous girls in India are locked by boundaries of social and economic status. In a bid to fulfil the dreams of young girls, Mattel India has joined hands with the NGO, Masoom, to launch ‘Project Udaan’. 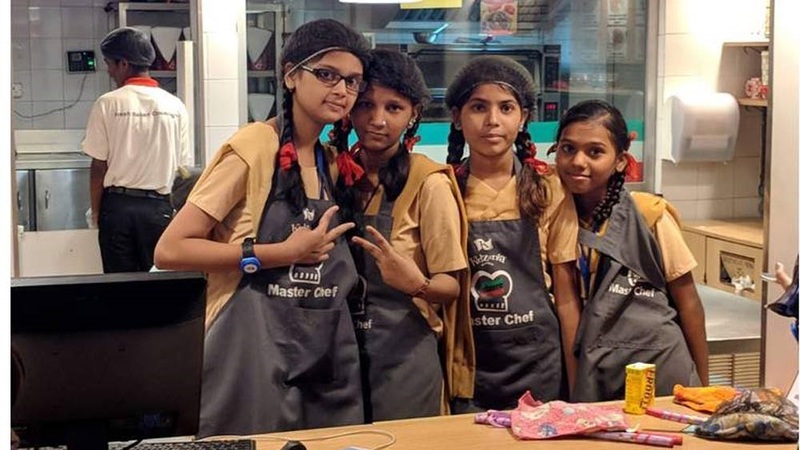 Project Udaan aims to give these girls the wings to fly with their dreams. While these girls have grown up admiring Barbie, Mattel believes every girl, like Barbie, has the right to be herself i.e. smart, successful, ambitious, poised and confident. Project Udaan is a comprehensive three-fold programme that focuses on leadership skills, feminine hygiene program and vocational training basis participants’ interest mapping. It is a yearlong program, which will be actively volunteered by the ‘Barbie’ team, designed to equip over 100 girls aged between 14-18 years. The project is aimed to build confidence, self-expression and enable effective learning and development that can present the girls with a chance for a better life. As a part of this initiative, Barbie created an exposure for young and enthusiastic kids of the city. The girls from Masoom were taken to KidZania where they could not only explore but also live and experience 90+ role-playing activities. These little girls were shown that their dreams could fly free at KidZania through 90+ career opportunities. The trip enabled a roadmap, guiding these tiny feet towards a realistic and achievable goal to fulfil their dreams. It was also an eye-opener for many, as most of the activities showcased were unique and attractive for many of them, thus further enlightening their vision. “Project Udaan has enabled us to see the spark on so many faces and we are highly motivated by their overwhelming response. Through our initial activity at KidZania, children got a chance to experience the world of multiple career options. They cherished the life of becoming a Chef, an RJ, a Pilot, a Teacher, an Actor, and so on”, said, Singh.